South Africa opener Aiden Markram has sustained his surge towards the top during an amazing first year in Test cricket, making his way to ninth position among batsmen in the MRF Tyres ICC Test Player Rankings. The 23-year-old’s knocks of 152 and 37 not only contributed in South Africa’s massive 492 runs victory over Australia in Johannesburg for a 3-1 series win but have also helped him move up six places to ninth position in the latest rankings update, which also takes into account performances in the drawn second Test between New Zealand and England in Christchurch. Markram, who led South Africa to victory in the ICC U19 Cricket World Cup in the United Arab Emirates in 2014, has broken into the top 10 for the first time and is now among a select group of 10 cricketers led by Don Bradman who have scored 1,000 runs or more in their first 10 Tests. 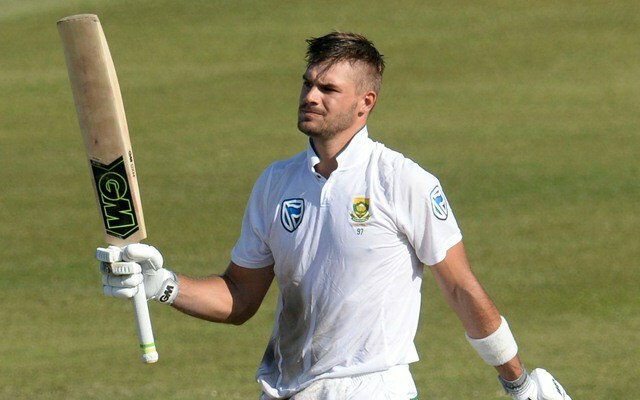 Markram’s opening partner Dean Elgar too has advanced after scoring 100 runs in the Test including a knock of 81 in the second innings while captain Faf du Plessis (up five places to 17th) and Temba Bavuma (up 12 places to 39th) are the other South Africa batsmen to make significant gains. For Australia, captain Tim Paine has moved up eight places to 53rd position while for England, captain Joe Root (up one place to third), wicketkeeper Jonny Bairstow (up three places to 13th) and Mark Stoneman (up 14 places to 64th) are the ones to progress. Not surprisingly, South Africa fast bowlers ruling the roost in Johannesburg sees several of them making the latest rankings update a joyful one. Pace bowler Vernon Philander’s player of the match effort of nine for 51 has lifted him six places to third rank, player of the series Kagiso Rabada remains at the top adding three points to take his tally to 902 while Morne Morkel has finished off on a high. 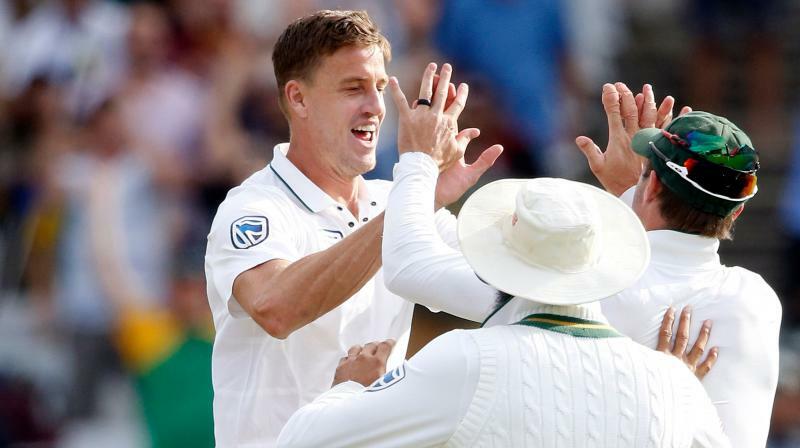 Morkel, who bowled despite a side strain in the second innings of his last Test, touched 800 rating points for the first time in his career. He is now ranked joint-sixth along with Australia’s Pat Cummins, who has risen up from 18th to sixth place with nine wickets in Johannesburg. The 33-year-old Morkel, who debuted in the 2006 Boxing Day Test against India in Durban, first broke into the top 10 in January 2010. His consistent performances ensured that he was never ranked lower than 15th from that time till retirement, while enjoying a career-high position of third in November 2010. In other movements, New Zealand’s player of the match Tim Southee has moved up three places to take the 13th slot while Stuart Broad has gained five slots to reach 12th place. Meanwhile, New Zealand have leapfrogged Australia to third place in the MRF Tyres ICC Test Team Rankings. The swapping of places has resulted in a clear gain of $ 100,000 for New Zealand as they will now receive $ 200,000 from the International Cricket Council for taking third spot at the cut-off date of 3 April. Australia will get half that amount after finishing fourth. India were presented with the ICC Test Championship Mace in February itself after they were assured of the top position at the cut-off date and a $ 1 million prize money while South Africa will receive a purse of $ 500,000 for finishing second. The annual updates to the ICC rankings will be carried out on 1 May to ensure that the tables continue to reflect the recent form of sides with older results being discarded. The updated tables will reflect all matches from 1 May 2015, with matches played from 1 May 2017 carrying 100 per cent weightage. *The cut-off for the annual rankings is generally 1 April but was extended this year owing to these two series ending on 3 April.